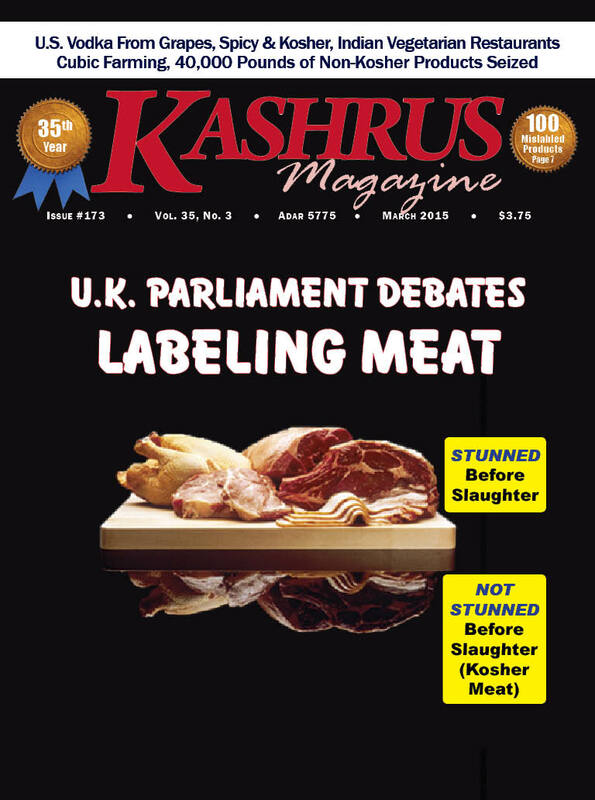 Exactly one year ago, KASHRUS Magazine featured “The Big Shechita Debate in the British Parliament” (March 2014 p. 36). That debate took place on January 16, 2014 in the House of Lords, the second chamber of the UK Parliament, and referred to in this debate as “the other place.” This debate took place in November 4, 2014 in the House of Commons. There is great concern that this spring the UK will begin to label meat as stunned or un-stunned. This could have major economic consequences for Jews all parts of the United Kingdom as sources to sell the hindquarters and meat which becomes un-kosher during shechita (neveilah) dry up. What follows is a digest of the presentations. For the complete debate go to http://tinyurl.com/n8lonrs. When the all-party group on beef and lamb, of which I am honored to be the chairman, decided to conduct an inquiry into the welfare of animals slaughtered in accordance with religious rites, I knew we were entering a highly polarized and often poorly understood area of public discourse. Discussions in the media have often produced more heat than light, and I hope the group’s report and today’s debate will provide more of the latter. Throughout the inquiry, we were careful to make distinctions between halal and shechita, the different methods of non-stun slaughter and the species being considered. We took evidence, in writing and in oral evidence sessions, from a wide range of stakeholders, including industry experts, Shechita UK, the Halal Food Authority, veterinary professionals, the Minister and the European Commission. European law requires that all animals are stunned before slaughter. However, a derogation permits member states to allow non-stunning in the case of slaughter in observance with religious beliefs. That is an important point. By law, animals have to be stunned before slaughter to ensure they suffer as little pain as possible, and the relevant laws were informed by scientific and veterinary evidence. Halal and shechita methods of slaughter are exempt from those scientifically established regulations not because they meet a different set of animal welfare standards, but because they are a matter of freedom of religious and cultural expression. In an ideal world, I would like all livestock to be stunned before slaughter, but that must be reconciled with the United Kingdom’s proud record of religious tolerance and our history of allowing communities to eat meat prepared in accordance with their faith. To see the rest of this article, click “Buy This Issue Now” or “Subscribe” at the bottom of this page.